Parenting after divorce, what is best for the children? Going through a divorce is hard for everyone involved, especially if there are children. While the actual process of the divorce is a big part of your child’s life, what is even bigger is how the parents cope after this. We have heard all the horror divorce stories and we all know some parents who have said that the divorce will be amicable but then it all changes during the negotiations and procedures. It is important to remember ultimately is that the child’s quality of life is in the parent’s hand and they can be negatively affected if we do not learn how to cope with common situations that arise. Divorce marks the end of a relationship, for some this may have been a long relationship and others shorter, but the hardship can be just the same. Right after a divorce, it is very normal for people to go through a grieving process and essentially ‘fall apart’ even if the divorce was amicable. This grieving process can include a rollercoaster of emotions and this can affect the child too. A child’s grieving process is different. They may be concerned about what will happen in the future, how often they will see their parents and how to deal with all these changes. If this relates to you, you must not think you are torturing your child. You are entitled to have this grieving period because separation is not easy, and you do not need to pretend that everything is fine all the time. But it is important to keep a few things in mind for your own child’s benefit. Try not to over-share with your child especially involving arguments you may have had with your ex-partner as this can create resentment, where your child may resent you or your ex-partner, and that may never go away. Part of your child’s grieving process after a divorce may also be emotional and they may act out. This may be that they are moody, act out of character or they are very uncooperative. As parents that have just gone through a divorce, this may seem like a very hard thing to deal with on top of your own emotions, you must remember that there is a reason for it and it can be resolved. A child may act out because they are testing your boundaries as a single parent, they feel responsible for the divorce, they do not like the changes to their life as a result of the divorce or they are just feeling sad, angry or scared. Although you are encouraged to understand where these feelings come from, this does not mean that you must put up with it. If the behaviour is becoming very difficult, you apply all the methods these parenting books tell you too – set limits, give consequences and follow through on it. Following on from this and something which is VERY important, do not skip consequences out of your own guilt. You may feel exceptionally guilty for putting your child through this, but it will cause more harm in the long-term to be soft with them. There is a real danger with foregoing consequences and that is the risk of it becoming a habit. We all know that one child who has pushover parents and they have some real problem behaviours that have not been addressed and it may have been going on for too long to even be addressed. The last thing you need whilst coping with the aftermath of the divorce is your child developing these behaviours and there is nothing you can do about it. Yes, you must be compassionate towards your child because these behaviours could be a result of their anxiety or struggles with coping with the divorce but be stern with them when they cross the line. If your child throws something at you because they have witnessed an argument you have had with your ex-partner, although you will really feel for them, you must appropriately disciple them and follow through with it. When the situation has calmed down, you can speak with them in a loving way to find out how they are feeling and gain an insight into your child’s struggle to help them overcome them. Alternative to what I have discussed above, your child can move on to the complete opposite side of the spectrum and ‘over-function’. This means that your child may attempt to take care of you and begin acting like the adult trying to fill this missing role that has appeared after the divorce. And while this may seem nice if you are going through emotional turmoil, you must make sure that your child remains a child and let them know it is not their job to fix things or take care of you. You must rebalance the relationship as undesirable as this may sound and remind them that although things are difficult now, you can take care of them and things will get better. 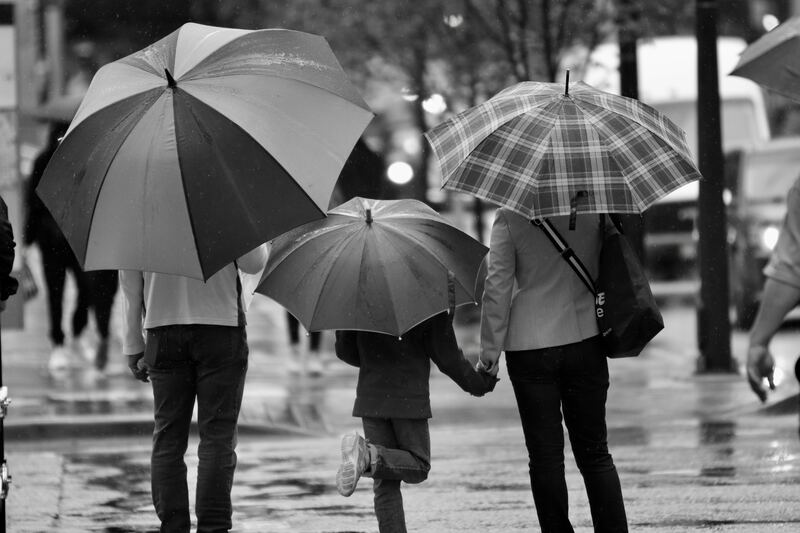 Now to address one of the most important factors, how to co-parent. Just a disclaimer, this does not apply to situations where the divorce has occurred as a result of physical or emotional abuse. In this case, courts usually deal with this. This really will require its own blog post but, in a nutshell, regardless of how amicable or disastrous the divorce was, you must align your strategies and be on the same page. Communication may have broken down, but it must always be open when talking about your children. Think about it like a colleague at work that you do not like, you still have to speak to them about work, but you are not going to exactly invite them to your house for dinner. If you think it is impossible to communicate with your ex-partner, then any information I give will not stick and instead a professional will probably be required. If you both can agree on the importance of co-parenting and you do not know how to do this, get help. There are tons of counselling sessions available for situations like this and they encourage to meet in the middle and deal with any tension that affects the relationship. If the lines of communication are open, then you need to discuss how you will deal with your different parenting strategies and set some ground rules. If you spend all week working on bedtime and the next week your ex-partner does not encourage this and lets your child sleep at any time, then this is problematic. In situations like this, even if you both can be amicable, therapy sessions should still not be ruled out. If you cannot agree on parenting styles and cannot co-parent, then just focus on your own parenting values that are in your own home. When parents are co-parenting, children may feel like they are living two separate lives and this in itself is difficult for them. Although there may be jealousy amongst parents on who the child prefers or whose home they prefer, it is key not to put your child in the middle. Children often get caught in the middle, this can apply to get them involved in arguments or arguing based on something they have said. For example, if your child does not do well in a test, one parent may say to the child ‘it’s because your mum/dad does not study enough with you’. The child then may repeat this to the other parent when discussing the test. Although it may infuriate you what your ex-partner has said, you must not act defensively in front of your child as they may feel like they are at fault if there are any arguments or feel wrong for expressing their feelings. Therefore, instead of saying something like’ your father/mother does not know what they are talking out’, instead you can say ‘I think we are doing really well but maybe if you think it is a good idea, we can spend a bit more time studying’. It is up to you whether you address this issue with your ex-partner, but before you do, think about the outcome. Will you argue? Will they just list a reel of the things that you have said similar to what they have? Is there any point? If one thing you both agree is that your child is the priority, arguing may not be beneficial. There are a lot more blog posts available that write about other factors to be considered when co-parenting and how divorces can affect the child so if you need more information, read up on it. Of course, like every other blog post available, it is not a ‘how-to’ guide and not everything can be applied in the way in the same way it is advised. So, do what you think is best, keep in mind what your children are going through and how to best cope with this divorce for the benefit of your children. Above all, if you think things have gone too far or you are not coping, it is really important to seek help. Like with all things, when things are nipped in the bud sooner rather than later, it is, of course, better for everyone involved and leads to a better outcome.